Those bees! What I thought was going to be almost pure buckwheat honey is really mostly blackberry and clover honey with the lightest hint of buckwheat. You can see from the last post that we should be getting buckwheat honey in the next two weeks. The buckwheat is there and the bees are there so the buckwheat honey can’t be too far behind. 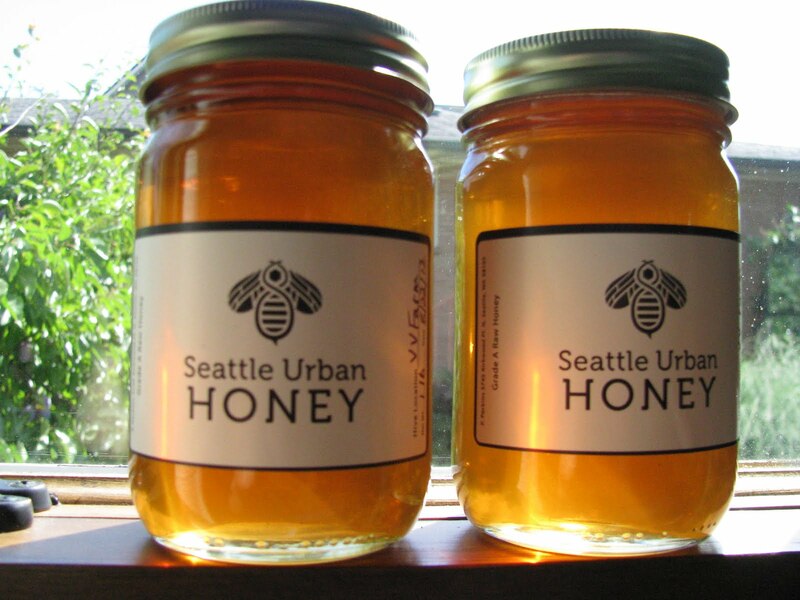 The honey is pretty- a light amber as you can see from the photo. 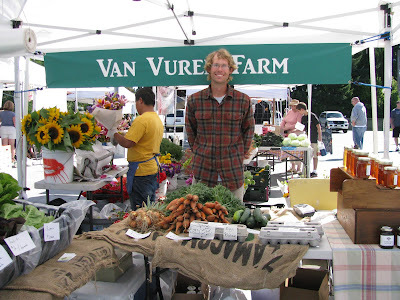 We have shared a market stall at the Shoreline Farmers’ Market on Saturdays during August with Luke Van Vuren of Van Vuren Farm. The buckwheat is planted at the Van Vuren Farm for our bees. It will be plowed under before it forms seeds to increase soil fertility.